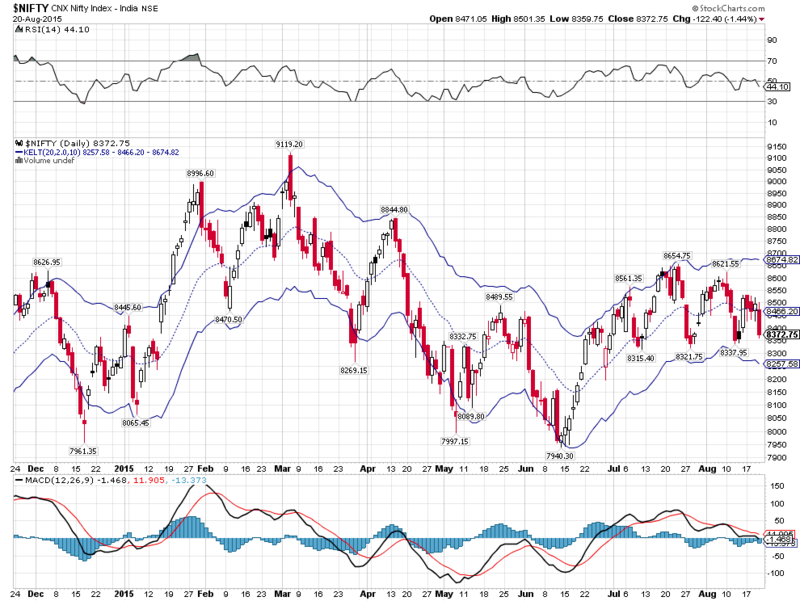 Am going to keep this short, as there is no major change in the daily chart of Nifty. Still struck within the congestion zone, Nifty might break out of the zone at the earliest. On the backdrop of global melt down the previous night, this seems more likely as this could be the trigger to get nifty out of this zone. Once the break down is confirmed, we will start discussing possible levels in Nifty. Keep a close watch on 8120 as this could be first likely target on downside. Do check back this weekend as we are going to start classroom on technical analysis. Bears are more likely to overpower if we see a negative close today. Am going to do a quick wrap up at 3.15p.m. today, in order to help you decide to stay long or short in the market.